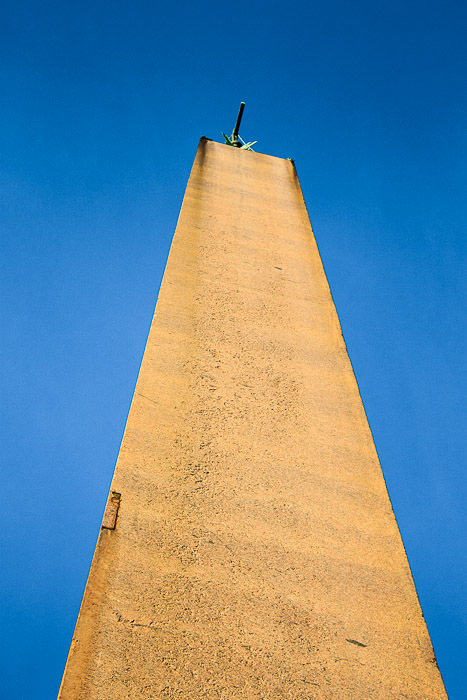 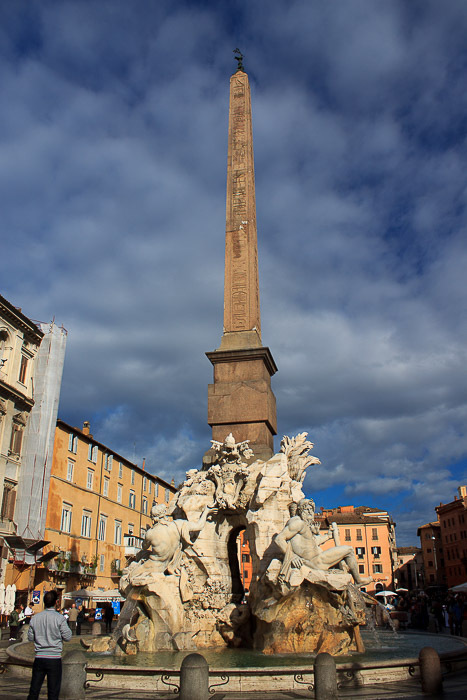 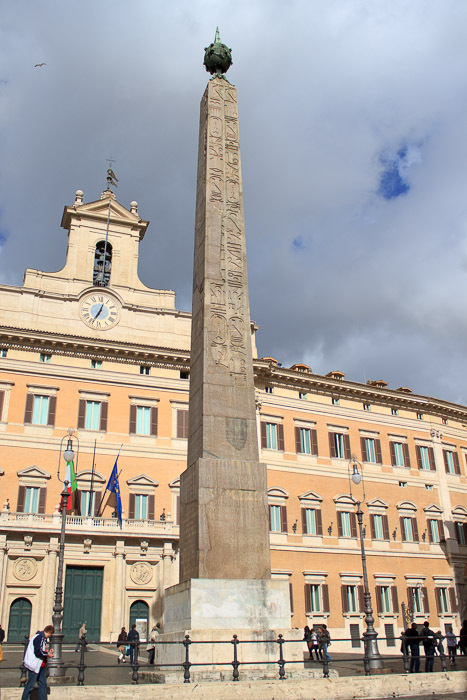 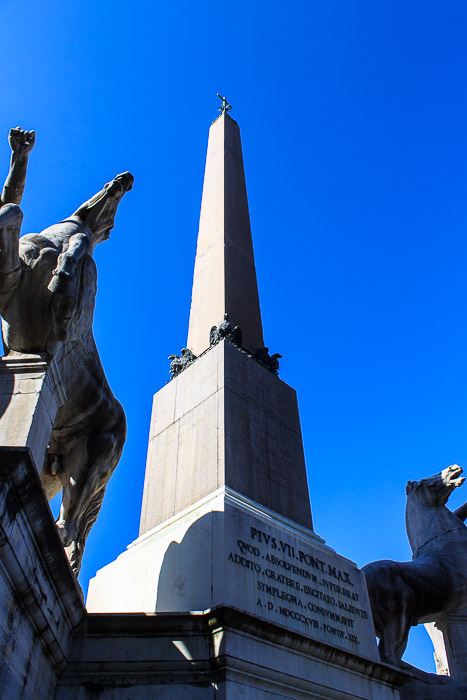 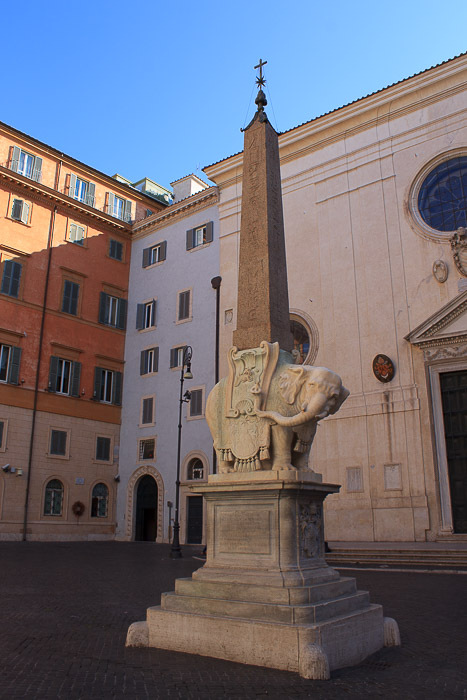 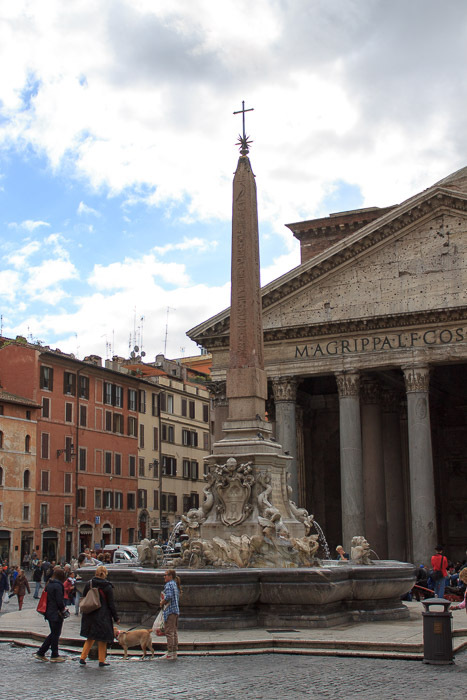 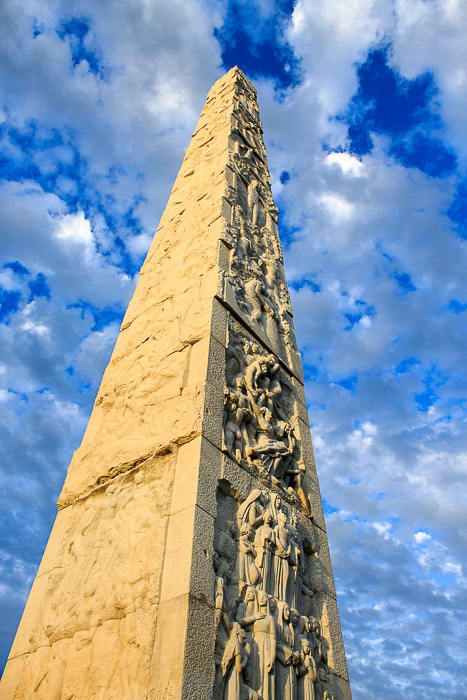 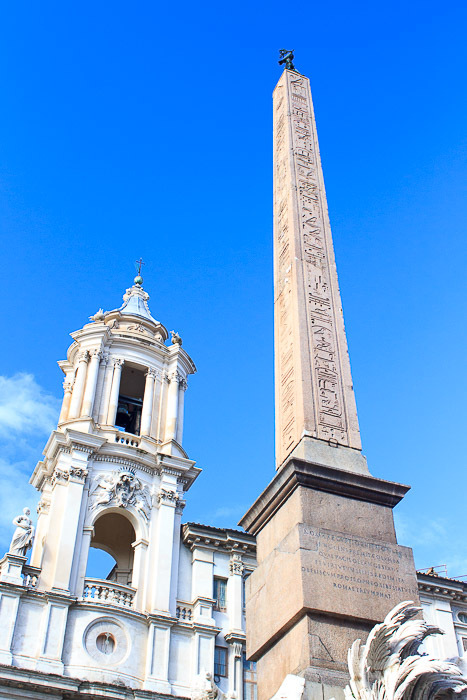 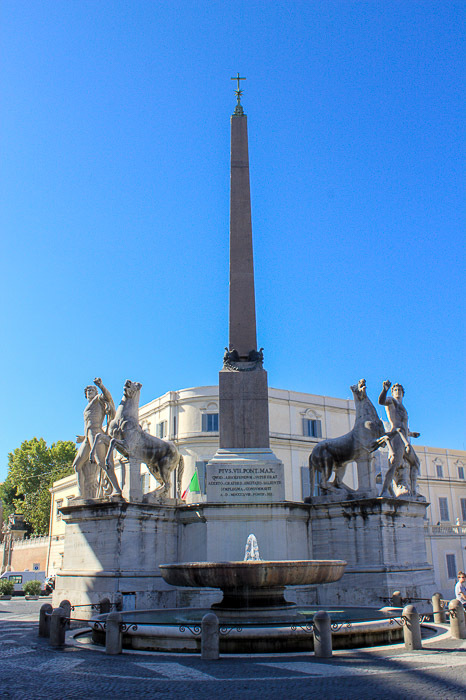 Rome has more obelisks than any other city in the world. 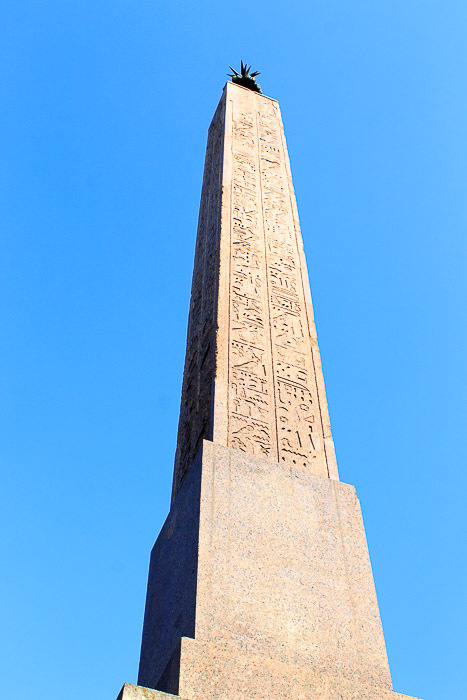 There are 8 ancient Egyptian obelisks, 5 ancient Roman obelisks, and several modern obelisks. 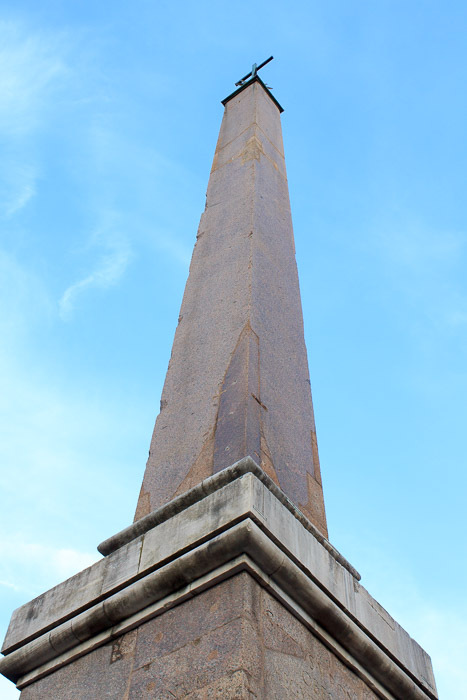 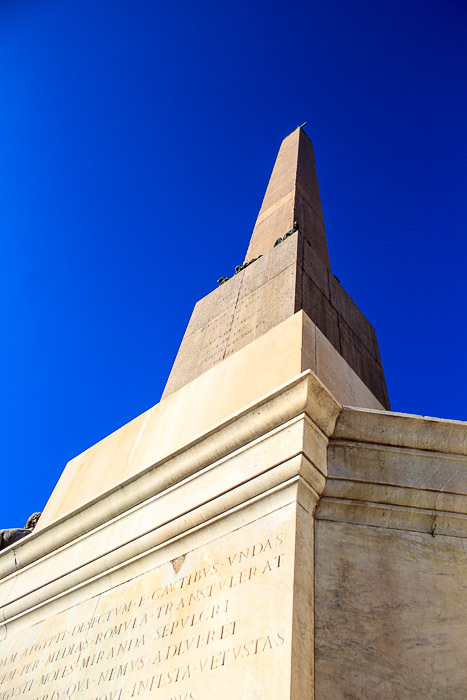 An obelisk is a long 4-sided tapering stone shaft which has a pyramid-shaped upper end called a pyramidion that has a taper of 60 degrees, all carved from one solid piece of stone. 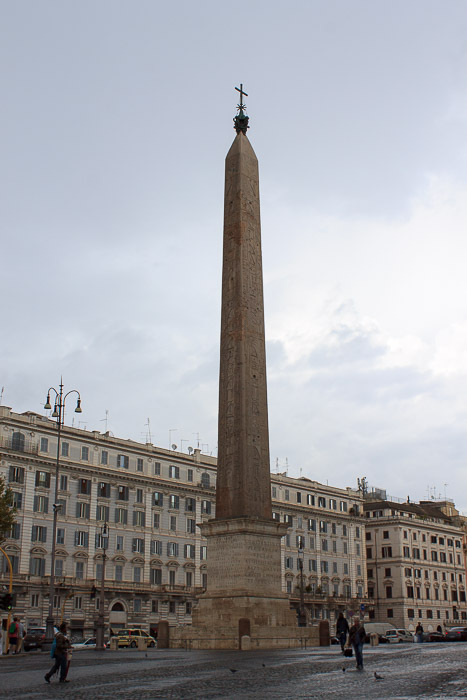 It is erected in an upright position, pointing at the sky, usually placed upon some sort of base that raises it some distance above the ground. 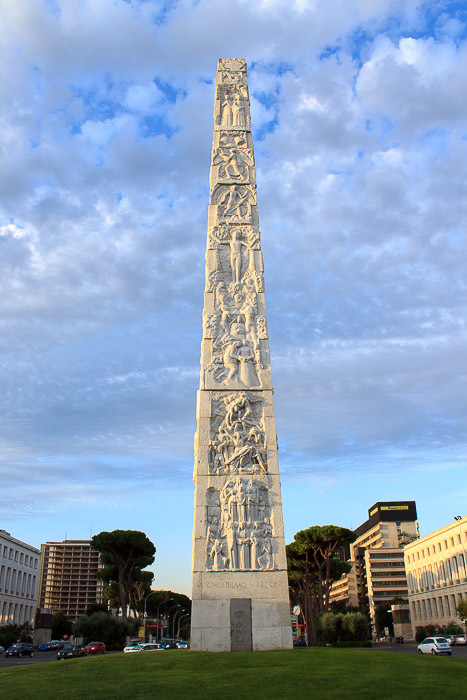 It represents the rays of sunshine, widening as they stream down to earth and provides communication between the earth and the gods. 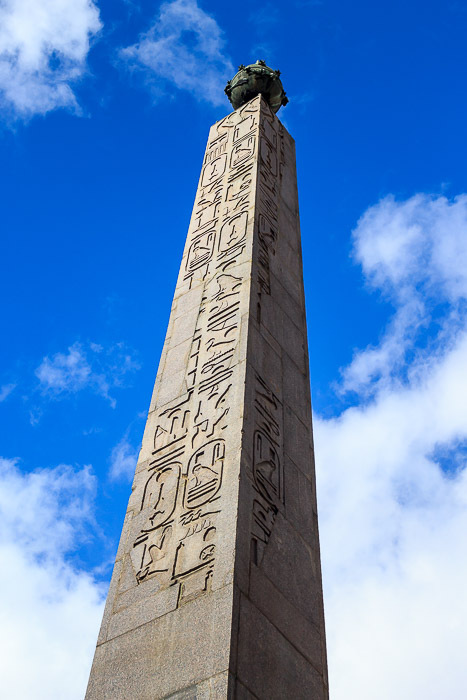 The ancient Egyptians were the first culture to practice the art of carving obelisks, and the finest and most beautiful obelisks were made by them during ancient times. 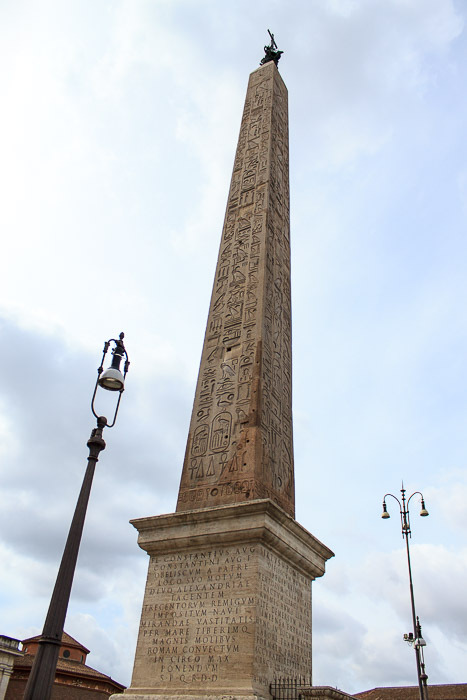 They carved hieroglyphics into the four flat sides of their obelisks. 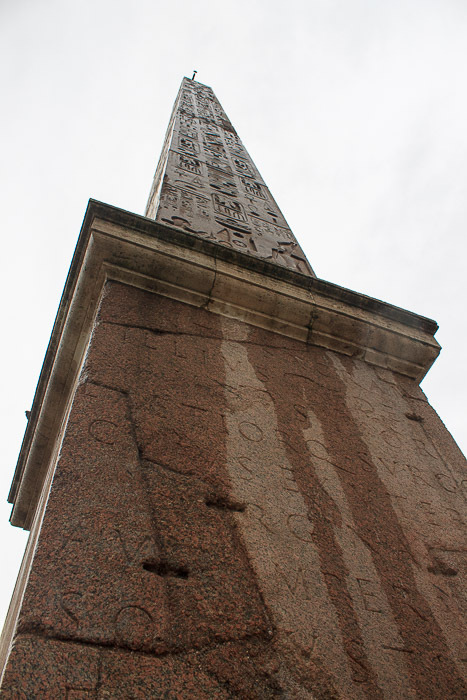 They sometimes covered the pyramidions of their obelisks in gold to reflect sunlight and make them appear to emit light on their own. 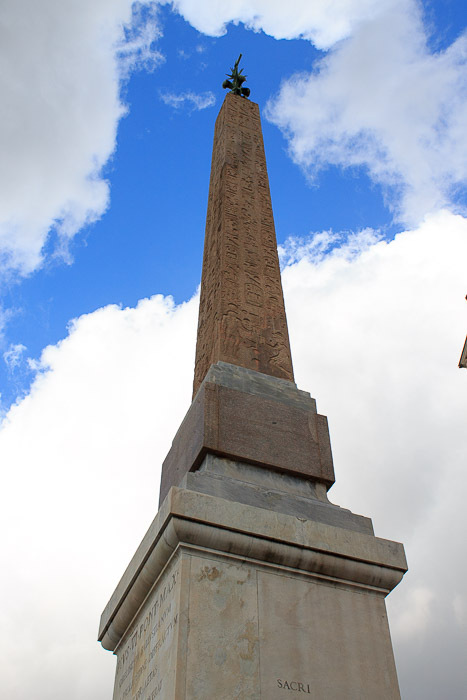 When Augustus defeated Marc Antony and Cleopatra at the Battle of Actium in 30 BC, and the empire thereby acquired control of Egypt, the Romans became infatuated with all things Egyptian. 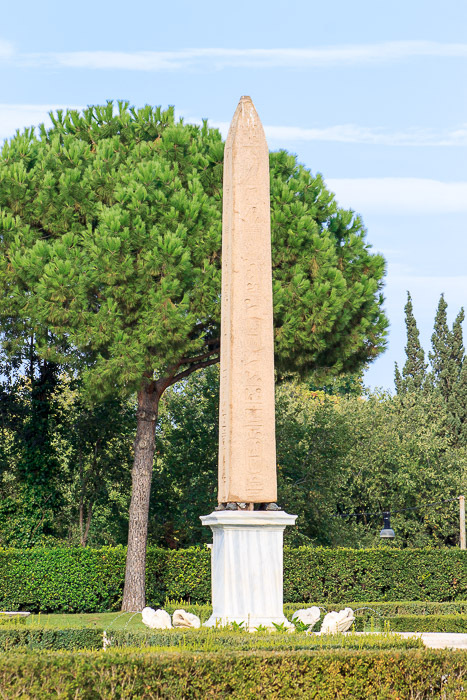 Beginning with Augustus, they began confiscating obelisks from Egypt and bringing them to Rome as trophies of conquest. 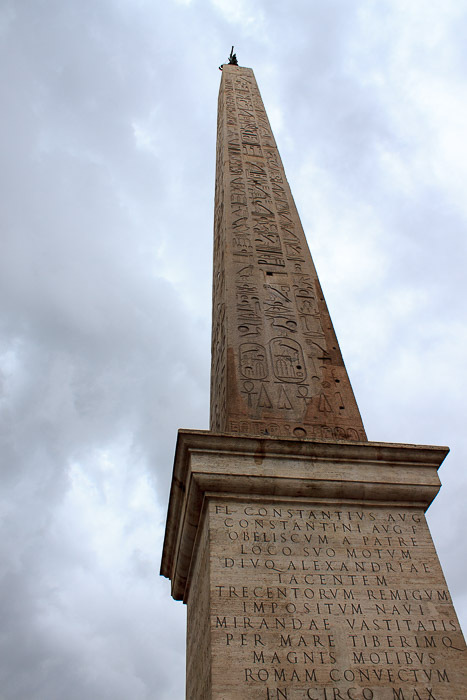 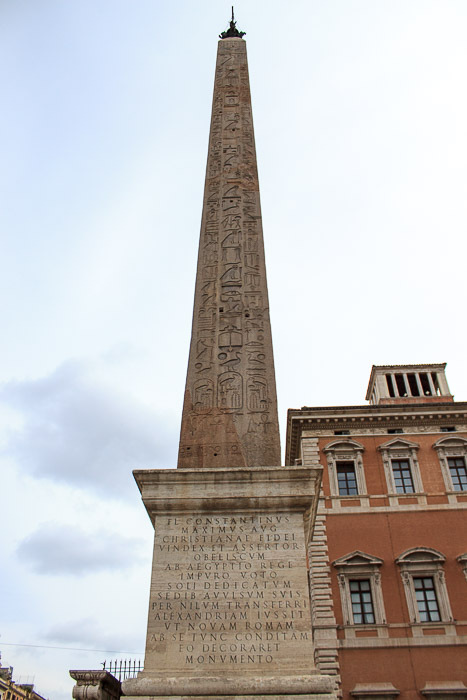 Subsequent emperors Caligula, Diocletian, Domitian and Hadrian all stole obelisks from Egypt and erected them in Rome. 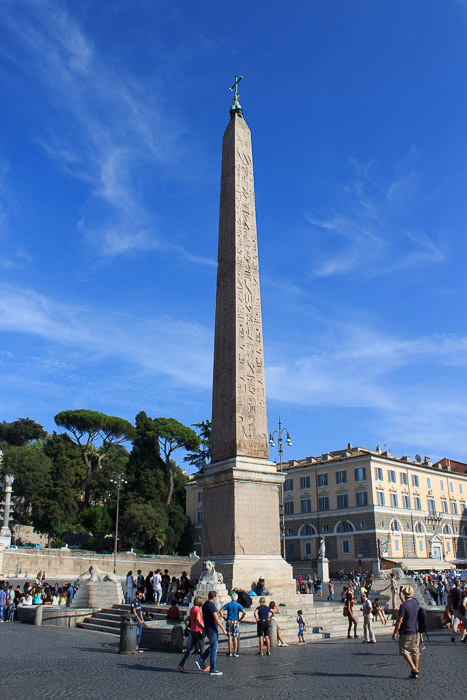 Whereas the Egyptians usually placed obelisks in pairs in front of temples and funerary monuments, the Romans usually placed them as solitary monuments, in places such as the spina (central spine) of a circus (racetrack). 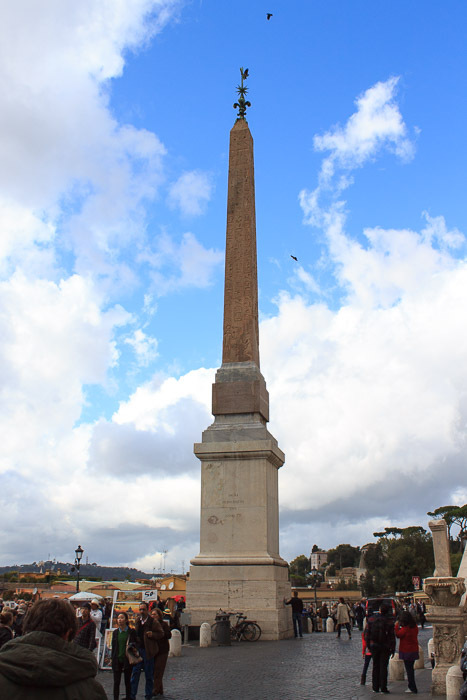 The Romans built specialized ships to transport the up-to 455 ton unwieldy cargo up the Nile, across the Mediterranean, and up the Tiber, employing up to 300 rowers, displaying their power through superior engineering that only they could muster. 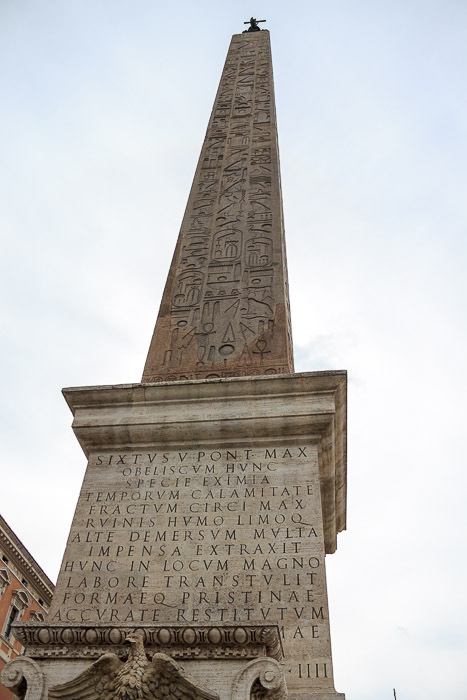 The Romans also tried their hand at making their own obelisks, even carving fake hieroglyphics into some of them, but the Roman-made obelisks are generally inferior. 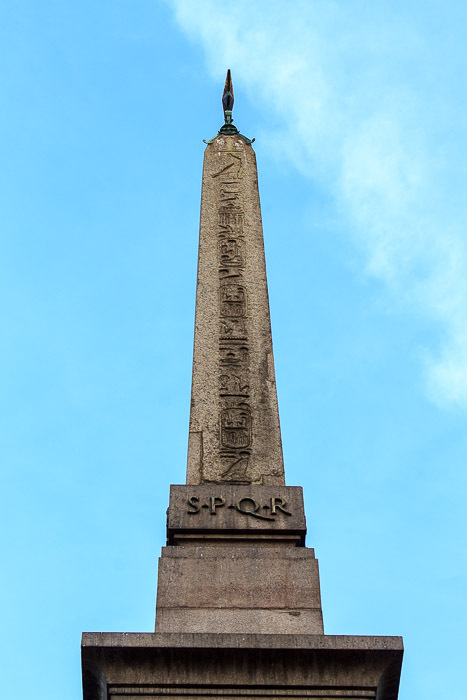 After the fall of the Roman Empire, the obelisks also fell into ruin, toppling and breaking into pieces which were eventually buried by rising ground level and silt deposited by Tiber River floods. 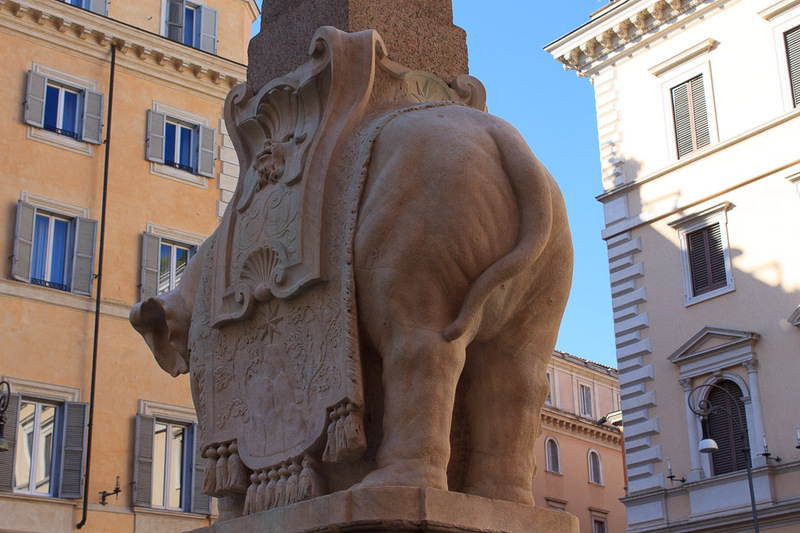 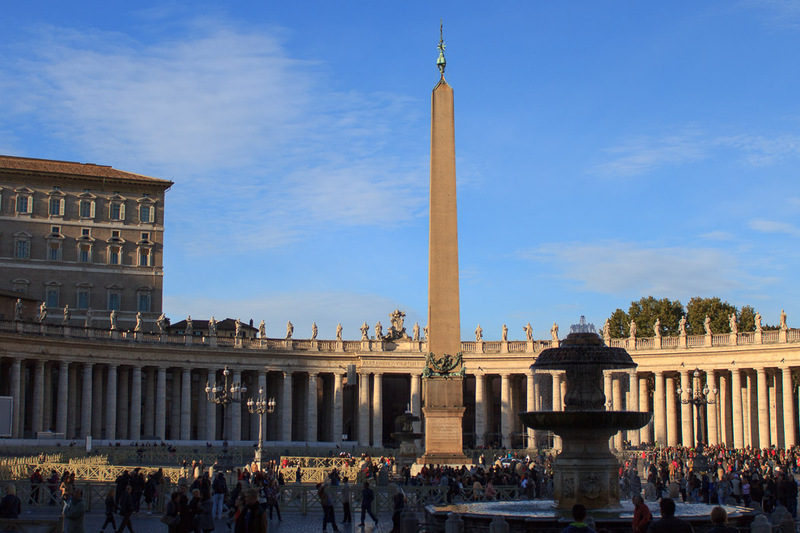 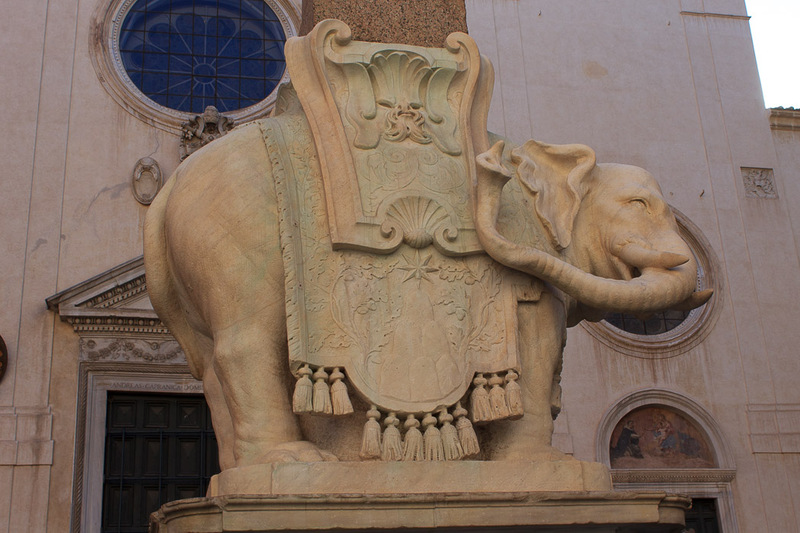 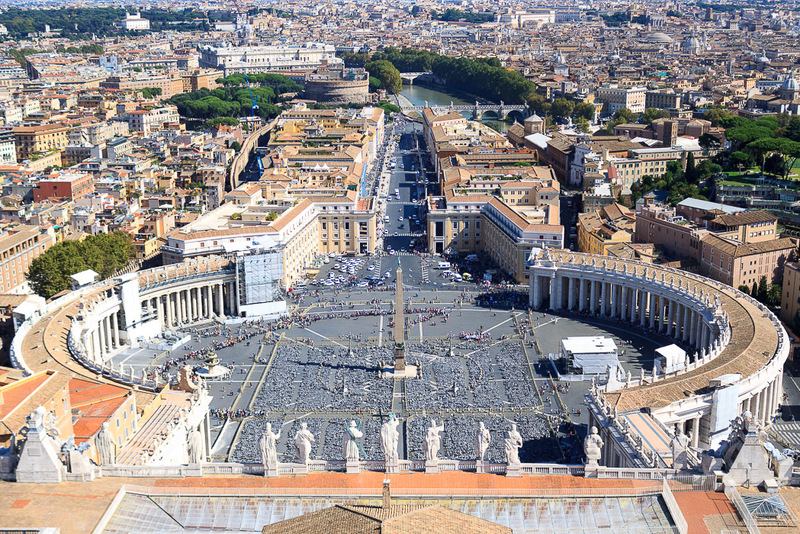 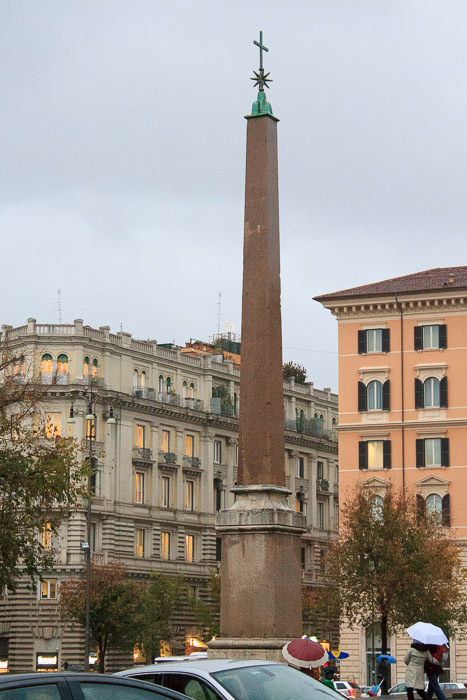 During the Counter-Reformation, the popes dug them up, reassembled them, and had them re-erected at key locations in Rome, such as in front of churches or in the center of piazzas. 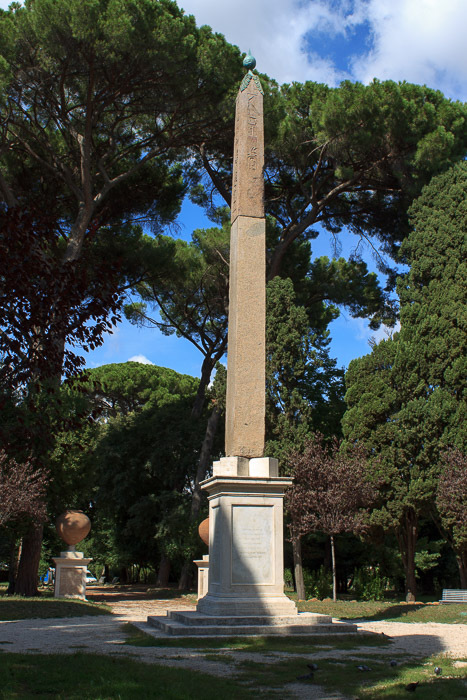 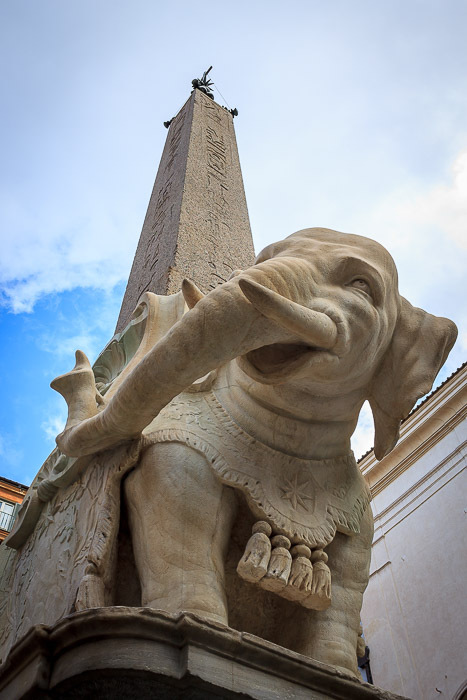 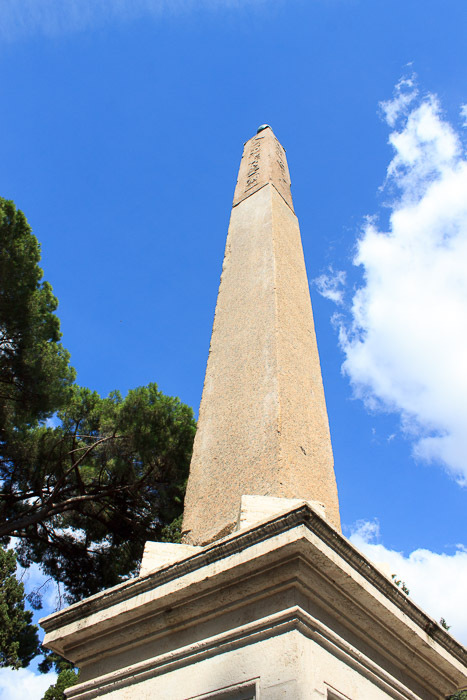 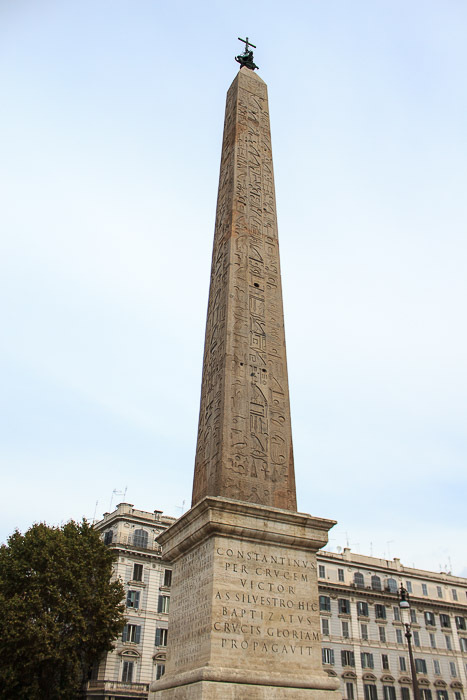 The obelisks were a way of connecting their city back to the glory of Imperial Rome. 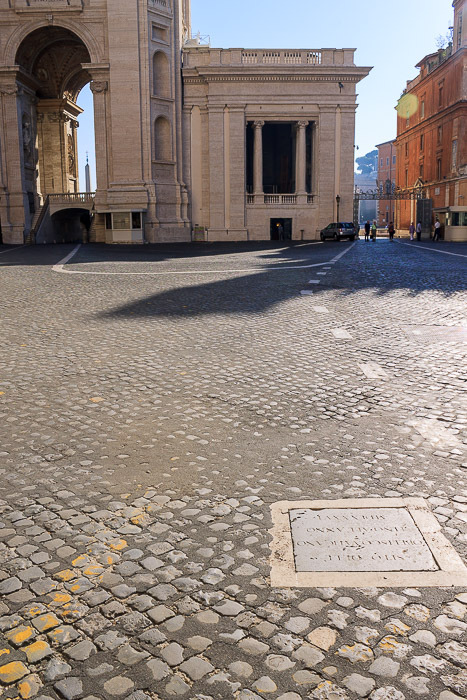 Long straight roads often provided clear sight lines (and still do today) from a mile away, helping guide pilgrims unfamiliar with Rome to churches. 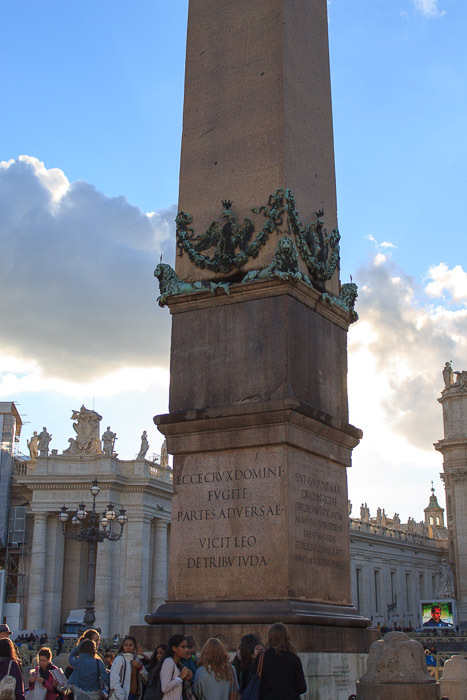 The obelisks today usually have some you of bronze ornamentation at the top, often displaying symbols of the pope who erected them. 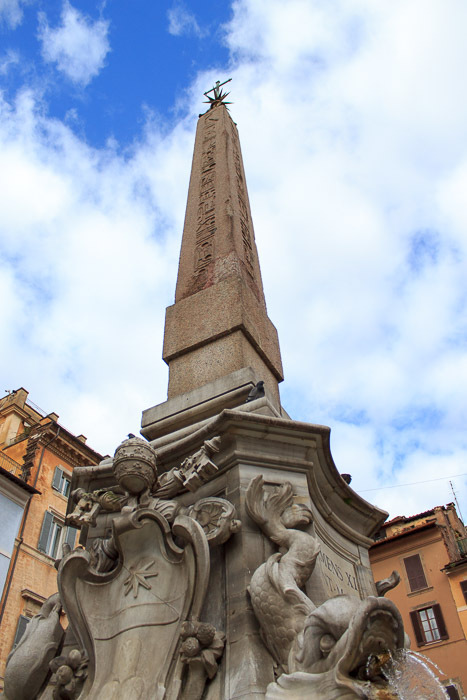 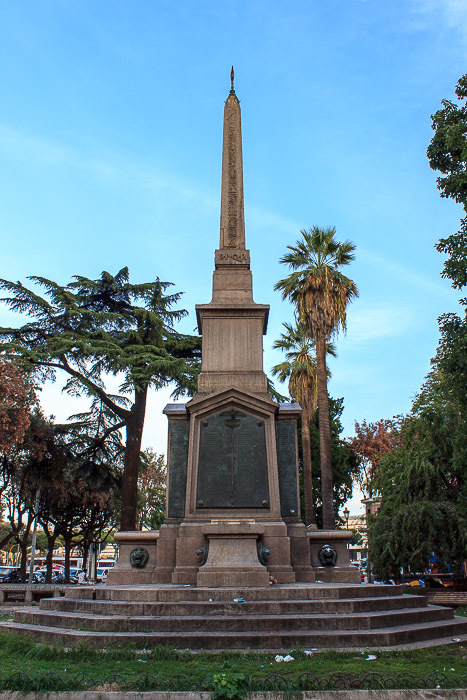 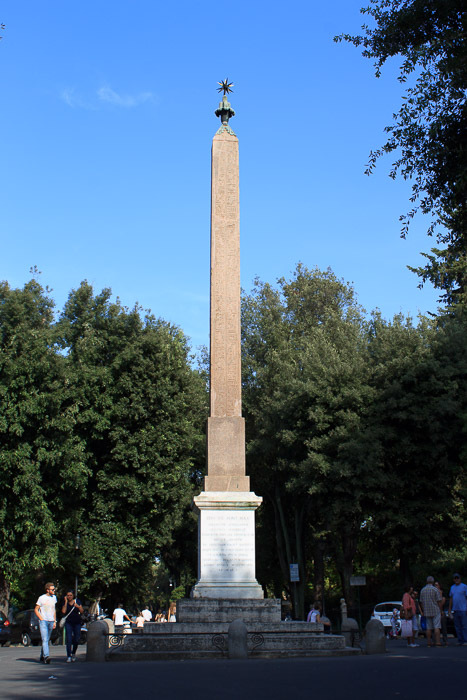 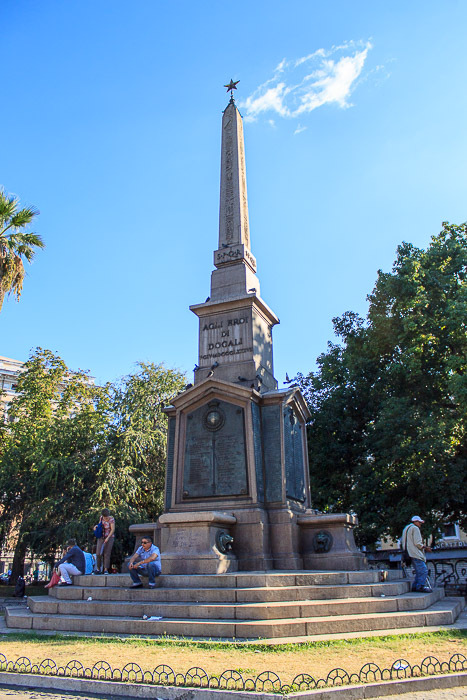 The superb article entitled The Legacy of the Obelisks of Rome describes the relevance of these obelisks in much more detail than this brief introduction.